The life expectancy of plants is an important aspect to us as gardeners. An understanding helps us to know how plants survive and how best we can fulfil their needs so that our needs are fulfilled. This can apply to our most prized specimens as well as to our control of weeds. It’s obvious to the beginning gardener that some plants live a lot longer than others. Oaks, as extreme examples, live a lot longer than lobelias. Bedding and most vegetable plants are changed every season. That does not necessarily mean they have lived out their lives. If left alone, many plants would live many years longer. 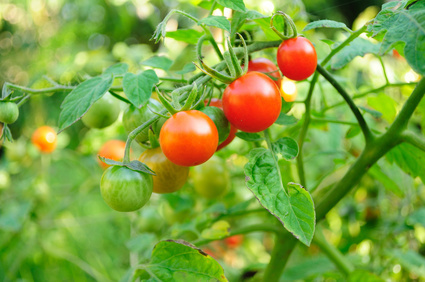 Usually, plants like bedding geraniums or tomatoes are uplifted as soon as they have filled their purpose without regard for their true lifespan. Knowledge of their true lifespan allows us to appreciate what goes on in their lives. Annuals live up to one year. Within that time they germinate, grow, flower, form fruit and seed and die. Alyssum, lobelia and lettuce are good examples. They survive through the seed they produce remaining in the soil, awaiting ideal growing conditions, correct temperature, moisture and air. Their lifecycles may take only a matter of weeks to complete, as in the case of common weeds like groundsel and chickweed. In a growing season, there may be many generations of annual weeds grown. Thankfully, even though they may be prolific, these weeds are shallow rooted and easily controlled by hoeing and pulling. Biennials live up to two years. 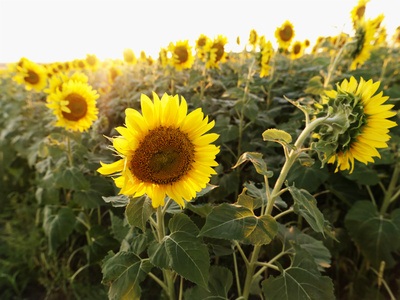 In the first growing season they grow from seed and build a store of energy, often in the form of large stems and roots, to use the following season to form flowers, fruit and seed. Many of our important vegetables are perennials, like cabbages, cauliflower, swede and turnip. You can imagine why a swede grows such a marvellous root, not to feed us, but to provide for a new generation. Not to mention the stems in cabbage and broccoli. Wallflowers and foxgloves are biennials, too. We plant the seed in trays or seedbeds for planting out to flower the following year. Biennial weeds, like thistles, are more determined to stay and need more serious treatment than annual weeds. Perennials are the long livers. They live for many years. 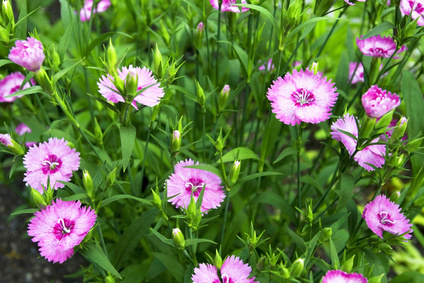 They are divided into woody perennials like your trees, and herbaceous perennials, which are not woody. Woody perennials have tough stems with an outer bark covering that protects them from damage. Herbaceous perennials, like rhubarb, asparagus, potatoes and delphiniums have soft parts above ground that die back in the winter, their roots surviving in the soil to regenerate the following season. Many woody perennials may not flower for some time. Instead, they concentrate energy on growth. Flowering and fruiting for them is not as important early in their lives. Our perennial weeds are in for the long haul and need serious treatment like digging, grubbing and translocated herbicides. Leave a small part of a perennial weed behind and you will have it again.